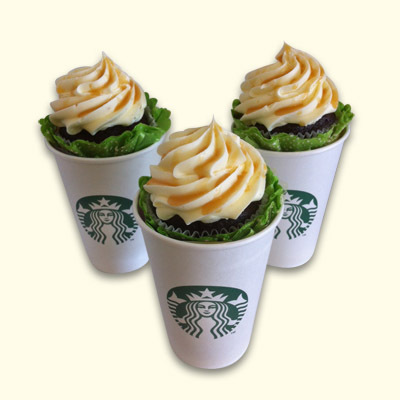 Have your cupcake and DRINK it too! You supply your favorite mug or cup and Wonderland will fill it with the your choice of cupcake flavor and decoration. Add a cupcake skirt to match the style and theme of the mug or event. Wonderland Bakery does not provide the Starbucks cup or has any affiliation with Starbucks.